Whatever you do on your Whistler stay, I wouldn’t advise walking out the door at 6 PM, feeling peckish, but with no plan. This could lead to hangry people, and possibly worse – hangry kids. Whistler’s fine-dining restaurants book out months ahead of time over weekends and key dates during the winter season. 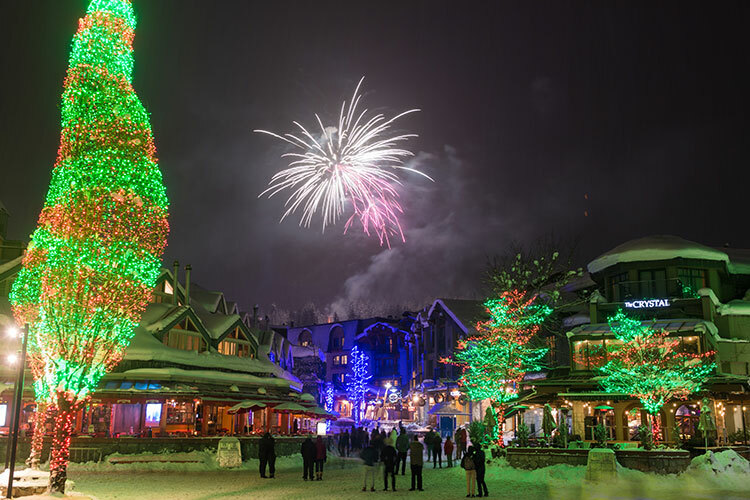 Christmas, Chinese New Year, President’s Week, and Easter are just some of the times you need to be aware of when making your plans, but realistically any peak time (defined as between 6-8 PM) during a busy Whistler winter is a time to make a reservation. It’s time to get your research on, and the team at Whistler.com have a handy guide complete with TripAdvisor reviews that make this nice and easy. If you’ve got a birthday, anniversary, or want to make sure you’ve got a special dining experience in place then book it in. You can always cancel if you need to, which is so much better than seeing the look on your partner’s face when you tell them their number one restaurant choice for their 40th is full. Insider Tip: When you’re booking ahead online reservations are the way to go. However, when you get to resort be prepared to pick up the phone or go in-person – you’re way more likely to get your reservation this way if you’ve not already booked it in advance. None of us want to commit to a military-style schedule three-months ahead of time while we’re on holiday, but if you do want to wing it a bit then think about your dining timing. What would happen if you moved your day one hour earlier? An early breakfast has a knock-on effect on all your dining throughout the day so you’ll be peckish by 11 AM (lunch), then around 2 PM (après), and then maybe 5 PM (dinner). This way you avoid all the busy times and benefit from being out on the slopes when the majority of people are inside eating. You could also do the opposite – have a lovely lie in and push everything later. This keeps you out of the 6-8 PM “peak time”, which is notorious for long waits and no night-of reservations. This later time frame might also be good for couples looking for a more romantic evening atmosphere. Some of Whistler’s restaurants don’t take reservations at all, so the timing tactic can come in really handy here so you’re either in front of, or behind the crowds. Another way to get creative with your timing is to think one-day ahead. If you spot a place on the stroll that tickles your taste buds then go in and speak to the host to get your reservation locked in as in-person is the best way to secure those more impromptu bookings. Insider Tip: A quick note on après. This can also fill up fast, but the further you explore away from the bars directly at the base of the mountain the more options you’ll find with people-watching patios galore. 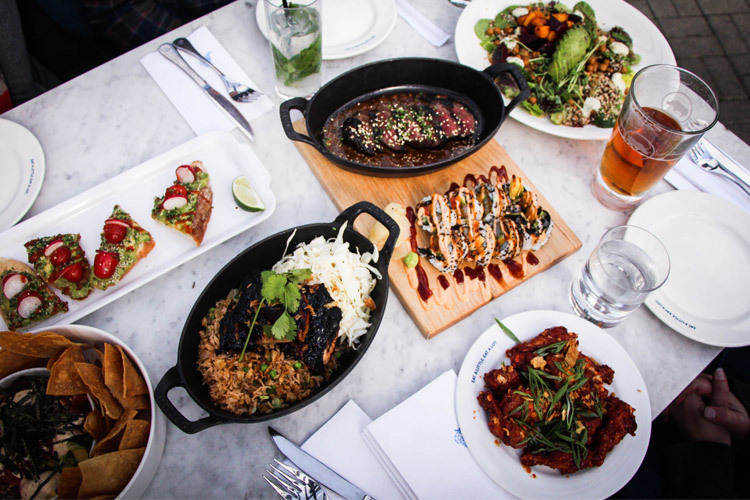 Take a look to see if the place you’ve chosen for après has a dinner menu, when the ski boot wearing crowd disperses there’s sometimes a lull between them and the evening party crowd that you can take advantage of. Whistler has its side streets and off-the-beaten-path nooks and neighbourhoods. For example Main Street, tucked behind the Marketplace, is a hub of casual eateries. From noodles to crepes, Aussie pies to burgers, fresh pasta to pizza – there’s an abundance to choose from. If you come down the Village Stroll from the base of Whistler Mountain and take a left when you come to Village Square you’ll find Stonesedge and closer to the Conference Centre there’s Harajuku Izakaya. In the Upper Village you’ll find Fifi’s Bistro, Legs Diamond, Milestones, and the Fairmont Chateau’s Portobello, Wildflower and Mallard Lounge options. Hopping in a car, taxi, or bus you can head to Creekside. Here you’ll find Nita Lake Lodge’s Aura restaurant, Rimrock Cafe, Red Door Bistro, Creekbread and Dusty’s. Looking to the north of Whistler Village you have Table Nineteen at the Nicklaus North Golf Course. Situated on the edges of Green Lake is’s a stunning location for an evening meal, plus they do fondue! By simply casting your foodie net a little further it opens up more options for your palate. When you’re out exploring and doing some walk-in dining, resist the urge to put your name down on a bunch of lists. 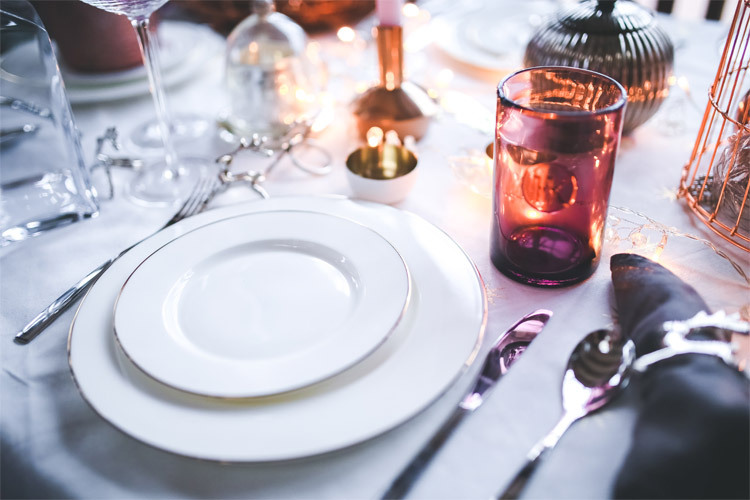 The average wait time is around 30-45 minutes so stick to your decision and have a pre-dinner drink, look in the shops, or take a few selfies surrounded by the festive lights – the time will fly by and your stomach will thank you for it. Fancy a steak cooked over a wood-burning stove at a remote log cabin in the mountains? Or maybe fondue at six thousand feet? Whistler’s activity partners pair dinner with adventures like snowmobiling and snow cat rides, so for a dinner with a difference this is an option with the wow factor. 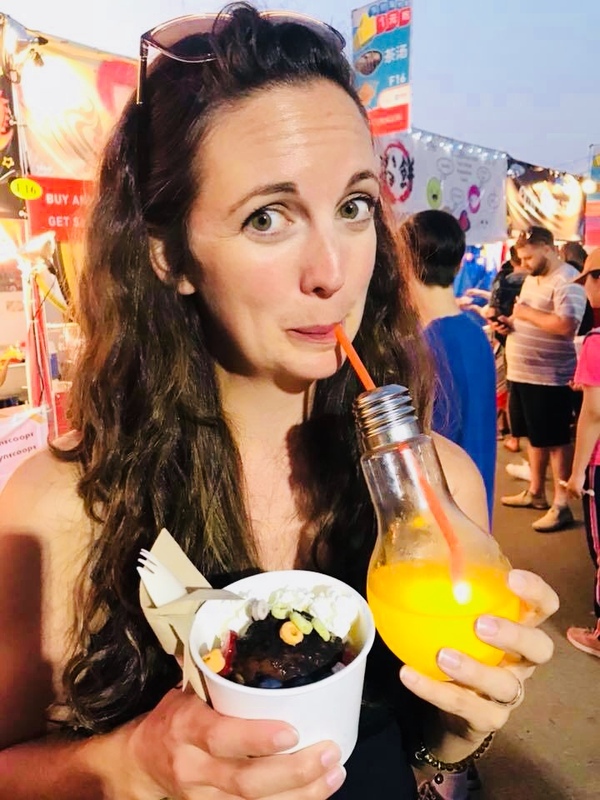 Another way to beat the reso bookings is to take a dining tour which sorts all the organizational kerfuffle out for you while you get to dine in Whistler’s top spots. If your accommodation includes a kitchen you could always consider a home-cooked meal. At the Whistler Grocery Store you can pre-order what you need and they will deliver to your room so it’s all ready to go for you at the end of the day. That way you don’t have to elbow your way down the busy shopping aisles in your ski gear – who’s got time for that? Fancy a movie night in your Whistler pad? Get Whistler Dine In to deliver whatever you fancy, with 19 different menu options you could get a range of cuisine and have your own dinner party right in the comfort of your own bed fort. They deliver seven days a week between 4:30 PM and 10:45 PM, they’ll also drop off liquor and groceries. If you happen to be catching a taxi or depending on your hotel’s shuttle service, leave some time for any unexpected delays when you set off. If you’re running late, call the restaurant and let them know. Not only does it mean they might be able to hold it for you, but it gives them the heads up not to rush the previous diners. Don’t “no show” on a reservation – enough said. Also, don’t get frustrated with the hosts – they want to get you seated as much as you want to eat, but they can’t magic a table out of nowhere, so if there’s a long wait consider opting for a drink at the bar or go for a stroll in the shops to take your mind off your growling stomach. Never be afraid to call and cancel a reservation, the restaurant appreciates it and it could be you benefiting from someone doing just that the next time you’re looking for a table. Make some of your reservations ahead of time, leave room to explore options in-resort, get creative with timing, and think outside the box. If you’re part of a large group or family, the above strategy is more of a must as those bigger tables are an even rarer find if you’re taking the walk-in approach.